The world waits in hushed excitement for Santa to arrive in this festive rhyme, as seen through the eyes of two tiny mice! The tree is hung with baubles, the presents are wrapped, and a snack has been left out for Santa Claus. 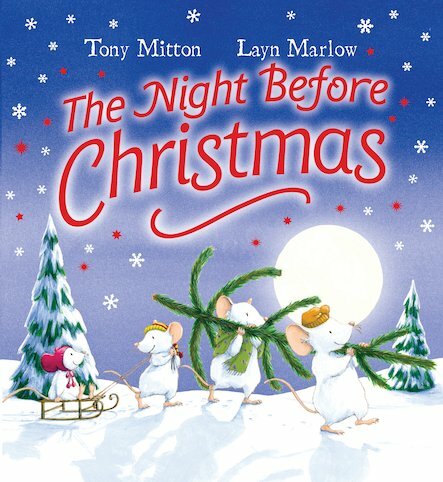 The little mice hang up their stockings and go to bed. But when their excitement keeps them awake, will they see something very special? From a leading poet and gifted illustrator, this cosy modern version of a classic poem is a perfect stocking filler. Tony Mitton has won a number of awards including the Nestle Smarties Prize for Red and White Spotted Handkerchief, and the Dundee, Portsmouth and Sheffield prizes for Spookyrumpus.